Notwithstanding, I am of the opinion that our main focus should be directed towards the phenomenal accomplishments of UNICEF (United Nations Children’s Fund). The total sum raised as a result of the abundance of donations dispatched to this organisation was quite incredible. 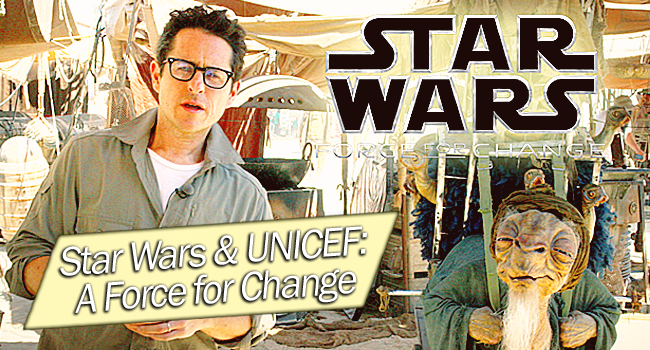 Star Wars: Force for Change secured an outstanding sum of $4,261,410 USD. The donations were received from 125 countries and the cash will be pledged to finance the establishment of 7-8 new UNICEF Innovation labs. This is a remarkable achievement and the efforts of Star Wars fans to facilitate the funding of new infrastructures should be commended. Ultimately, it is touching and poignant to realise that the collaborative effort of Star Wars fandom can have such an extraordinarily positive impact outside of just the institution of media and as a result triumphantly improve the sordid social conditions faced by many people around the globe.